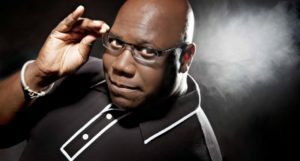 Carl Cox is heading to Oasis Festival in Morocco for the fourth instalment of the event, which has gone from strength to strength since inception. The dance music legend makes his debut at the boutique North African party this year, where a host of other enticing names are set to play. The Black Madonna goes b2b with Derrick Carter, Actress and Mount Kimbie will DJ together, while Avalon Emerson, Jessy Lanza, Nastia, Octo Octa, Paul Temple, Powder, Rødhåd, Tim Sweeney, and William Djoko have also all been confirmed at the time of writing. Taking place amid an arid, sun-baked wilderness on the outskirts of Marrakech, an ancient city sat in the shadows of the Atlas Mountains made world-famous by its atmospheric Medina, Oasis welcomes an intimate crowd to this spectacular setting, and will run from 14th-16th September 2018. Tickets are now on sale, and below you’ll find the video from last year showcasing exactly why it has garnered such a strong reputation, and was one of the top picks in our 2017 festival guide.